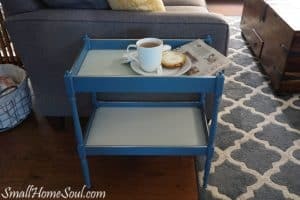 Beachy Serving Tray Makeover - Girl, Just DIY! 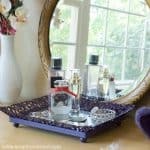 Hi friends, today I’m going to share the story of how forgotten gift basket tray got a “beachy serving tray makeover.” “What is a beachy serving tray makeover?” you ask. When I worked in the corporate world we’d get beautiful gift baskets from customers during the holidays. Many years ago my boss got and shared a gift basket with us and she let me take the tray home. I had plans for it but it ended up on our refrigerator to corral the bags of chips or whatever made its way up there. Then it got moved to the garage where my husband stored some stuff in it for a few years. 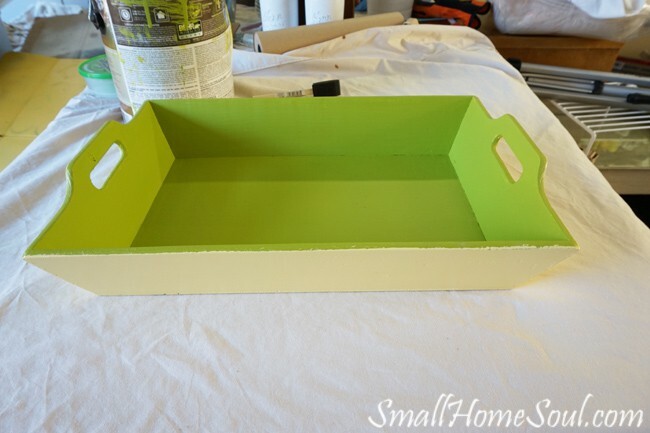 When I started my Patio Refresh project I knew I could make this tray pretty. Even though it turned out beachy” it works great on the patio. 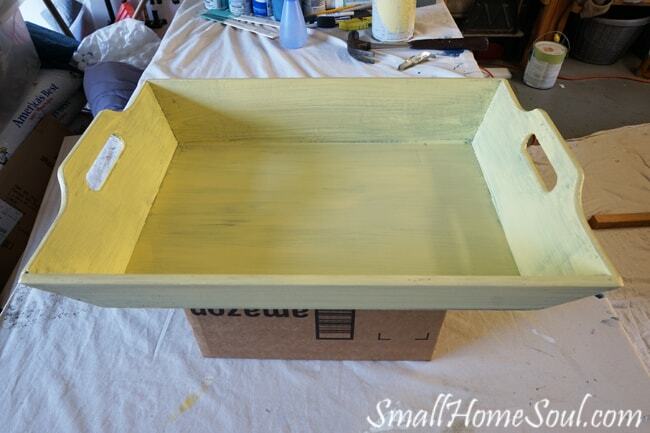 This ugly little tray started out green all over but after years of neglect it was ready for a beautiful beachy serving tray makeover. First I applied a few coats of yellow paint. 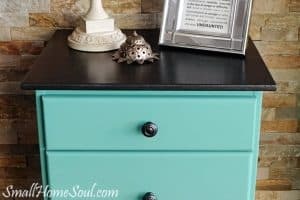 Being mindful of my budget I used the same paint from my daughter’s nightstand makeover. I painted the inside a different color to give it the two-tone look. Thinking I’d use it outside most of the time I used the same paint as my paint as my seagrass rug. Painting the edges were a a bit challenge. I didn’t mess with taping this time and just painted across the top edge from the inside to the outside edge. I then used a wet rag to clean up any green paint from the yellow sides. After it dried I could see it needed something else. I got out my jute string and glue gun to wrap the handles. Using my glue gun I glued the first end of the jute string on the inside toward the handle opening, wrapped it tightly, and glued the opposite end. Watch this short video I made to see how I wrapped the handles. 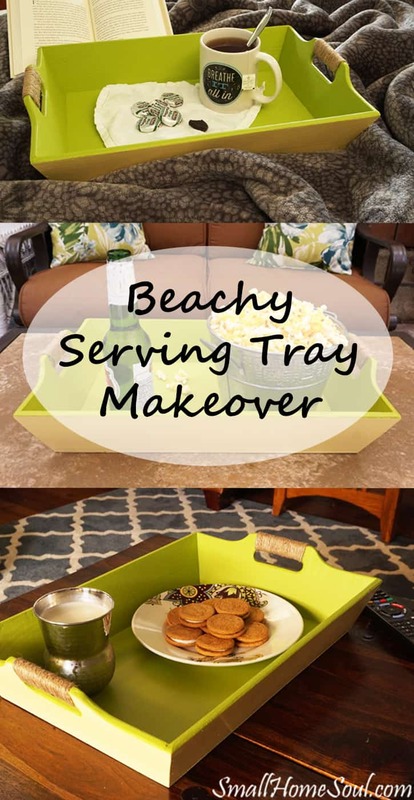 That’s how this tray makeover took on a beachy feel, which is ok with me. I’ll just pretend I’m at the beach when I sit on the patio with a yummy beverage 🙂 It has so many uses now. 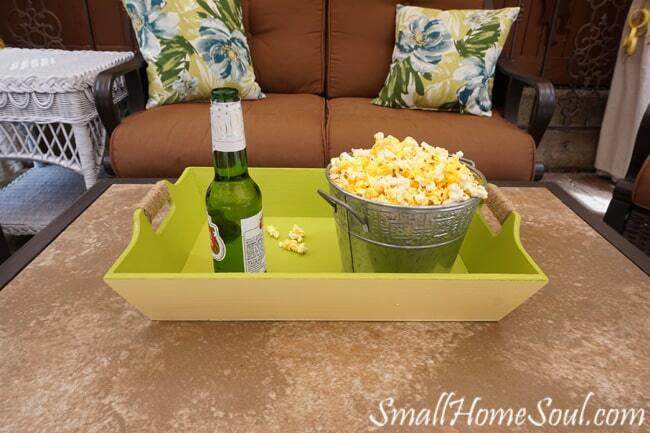 Beer and popcorn with friends on the patio…. Cookies and milk watching TV with the mutts…. Or on the bed with some tea and mints while reading a good book. 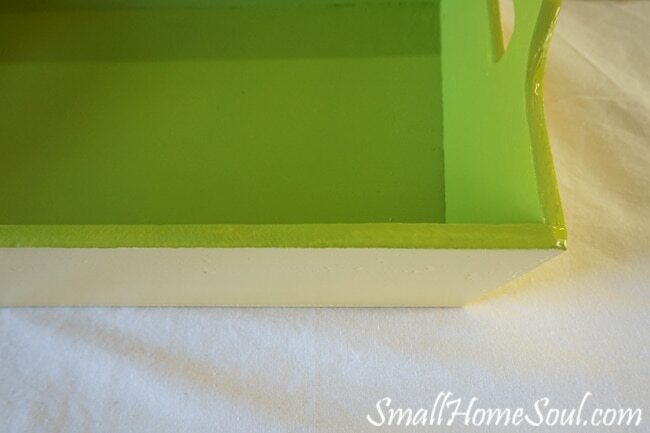 This forgotten gift basket tray looks beautiful now that the beachy serving tray makeover is complete. It turned out better than I envisioned when I started. 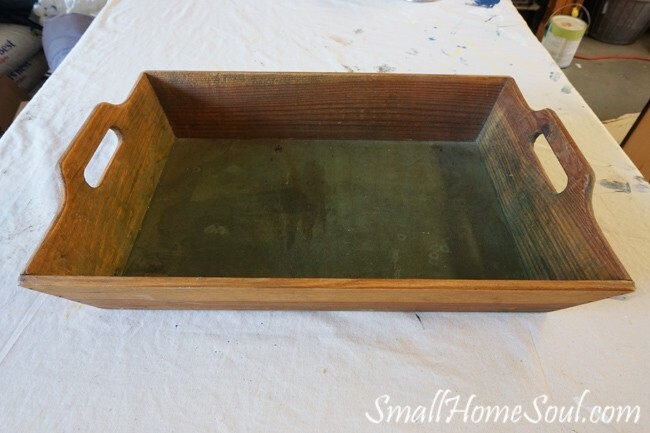 It was so fun to do I’ll keep my eyes opened at thrift stores and garage sales for more sad and forgotten trays for another beautiful tray makeover. 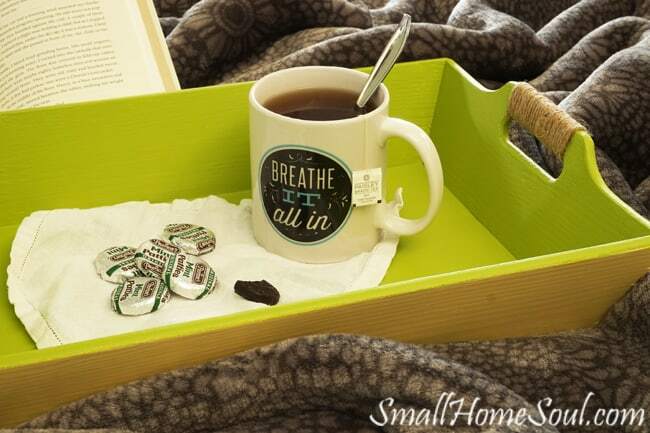 Love this tray? Don’t forget to Pin it! You bring back great memories, my great aunt had a tray just like that on top of her fridge. It held gum and little candies for children who visited. 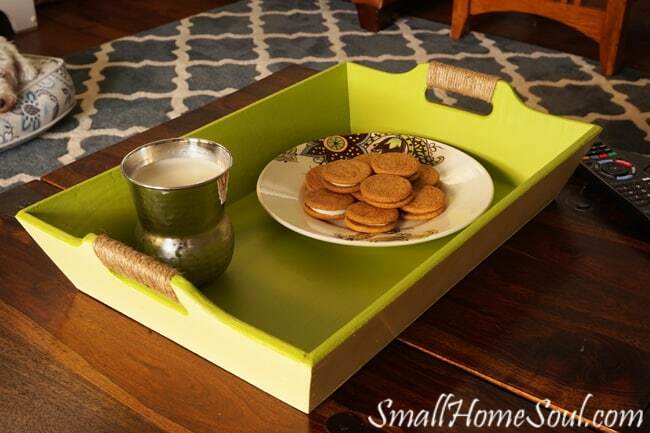 My sister and I were just talking about that tray a few days ago – I wish I had it. 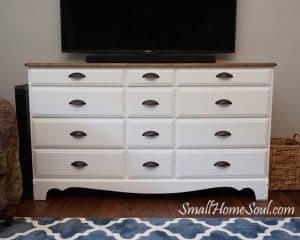 Thanks for sharing your post with us at Creatively Crafty #CCBG http://tryit-likeit.com/link-party-it. I love your tray! You kind of had me once you painted the inside that amazing green! Love the idea of the two tones and your jute wrapped handles add that special finish that takes the piece to the level of boutique worthy in my book…would totally buy it if I was at the store! Nice and beachy!! Love the color and the jute handles. Wrapping the handles with jute was a stroke of genius and took this tray to the next level my friend. Thanks Lisa, that jute was just what the tray needed. Yes, I rarely get rid of usable stuff, it drives my hubby a little nuts LOL. The tray without the jute didn’t have the wow I was looking for so I’m glad I thought if using it! I love how you wrapped the handles! Creative idea!